Successfully Added Xiaomi Power Strip - 3 Sockets, 3 USB Ports, Heat Resistant PC-Plastic, 2500W, 1.8 Meter Lead, 250Volt, 10 Amp (White) to your Shopping Cart. 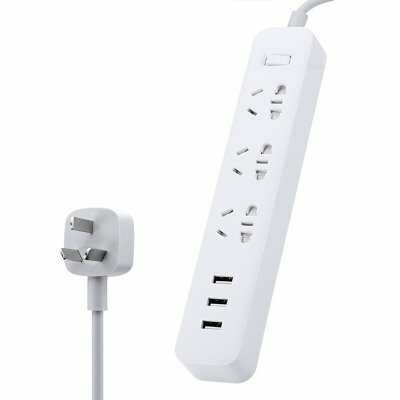 Featuring 3 plug sockets, the Xiaomi power strip can be efficiently used in most of continental Europe, the USA, as well as China, New Zealand, and Australia. Additionally, it features 3 USB ports – providing you with an abundance of ports to charge all your electronic devices. Whether it’s a laptop, tablet, camera, or smartphone – this multifunctional power strip will charge them all. This Xiaomi Power Strip comes with a 12 months warranty, brought to you by the leader in electronic devices as well as wholesale electronic gadgets..